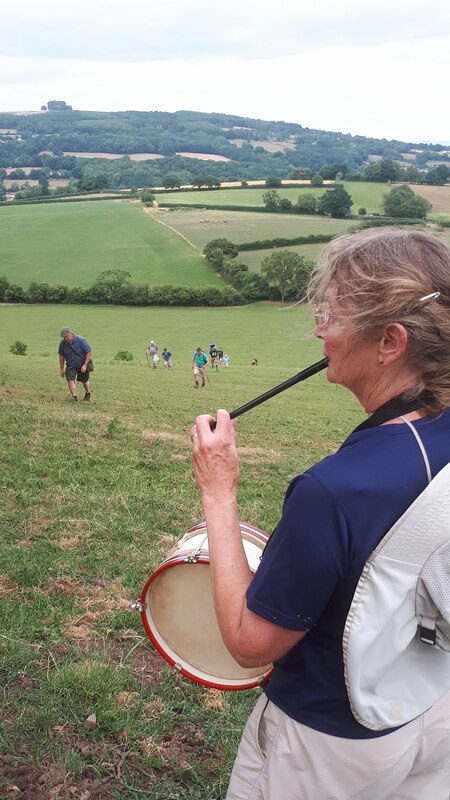 Gillian played oboe for many years from her early teens, and was a keen member of the Royal Forest of Dean Orchestra when in 2004 she was seriously ill and a blood poisoning superbug lodged in her wrist and left her hand partly paralysed. 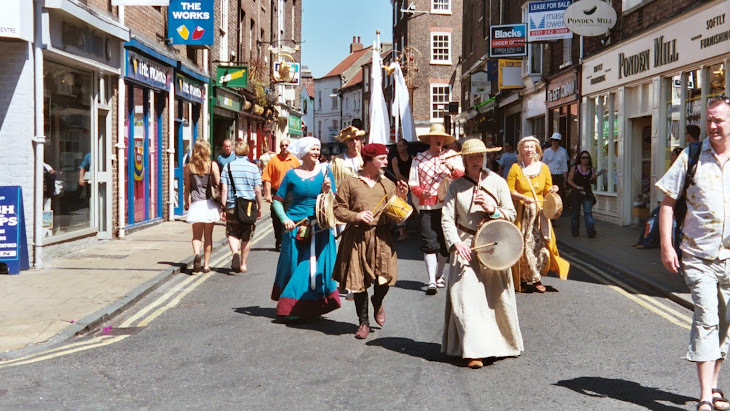 She managed to regain much movement in her hand, but was advised that no further progress was likely. 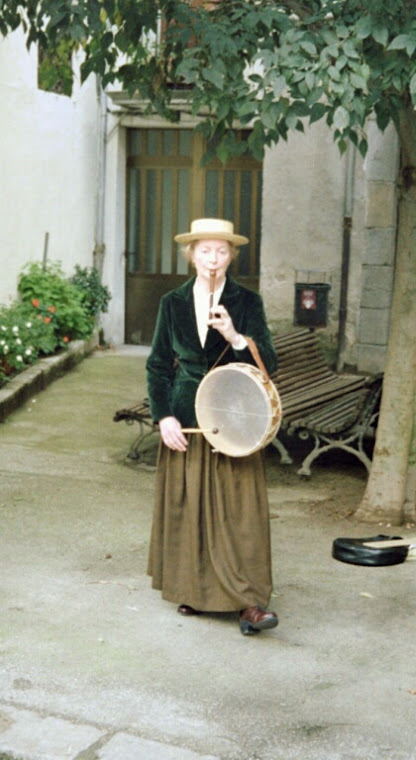 This meant that she would be unable to play oboe in an orchestra again. 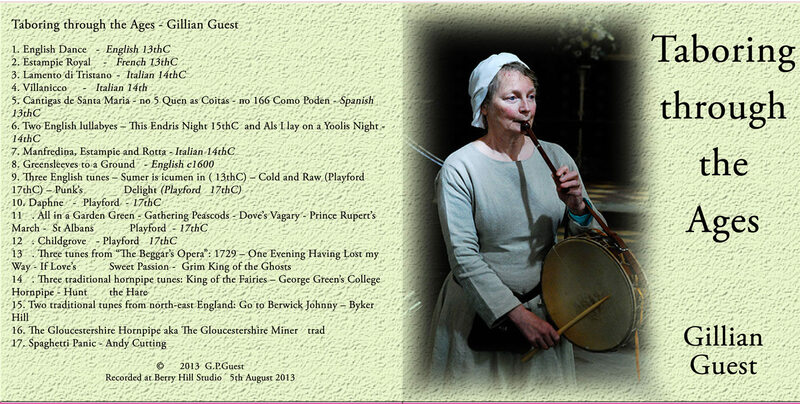 Fortunately, Gillian was also a taborer - a player of pipe and tabor. 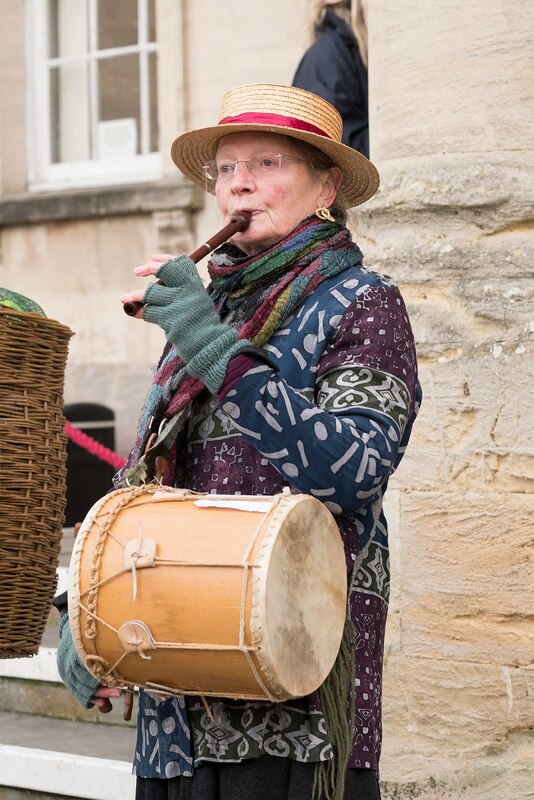 She plays a one handed pipe with her good hand, and she can hold a drum stick with the bad hand well enough to beat her tabor. 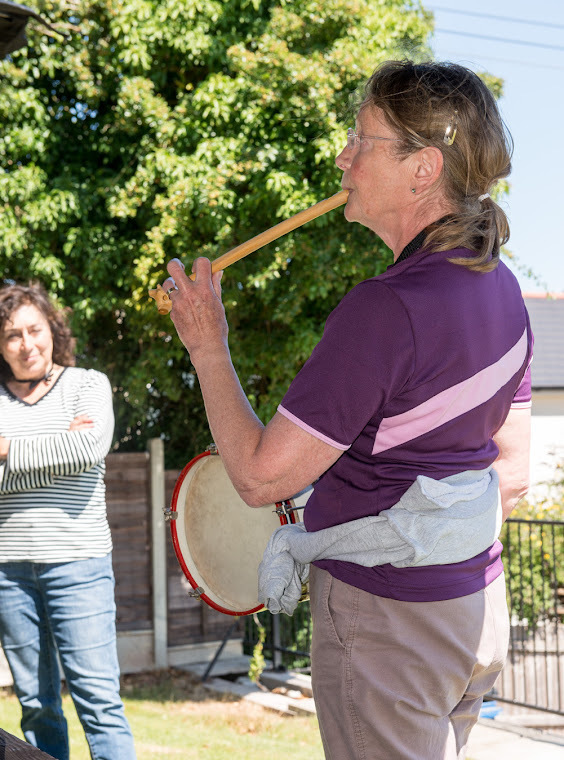 Out of her misfortune came the incentive to concentrate on this music. 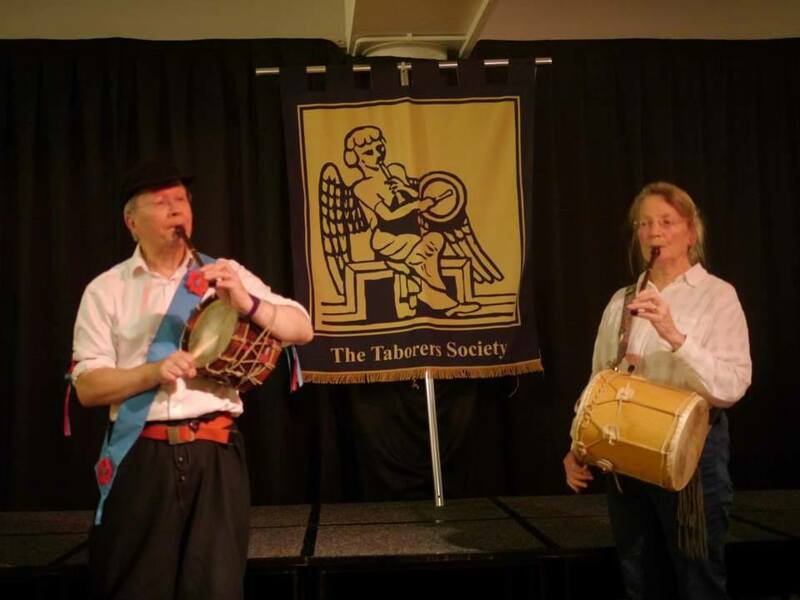 Pipe and tabor has been played in Gloucestershire for centuries – there is a fine mediaeval statue of an angel playing in the choir of Gloucester cathedral, and another on a roof boss in Tewkesbury abbey. 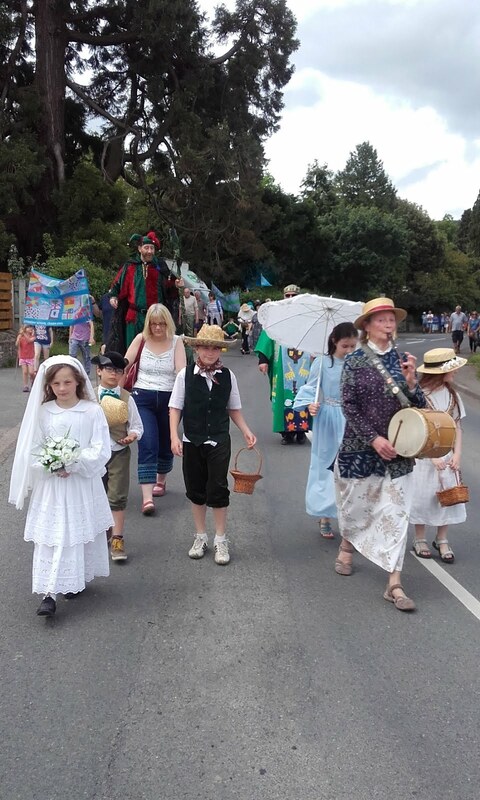 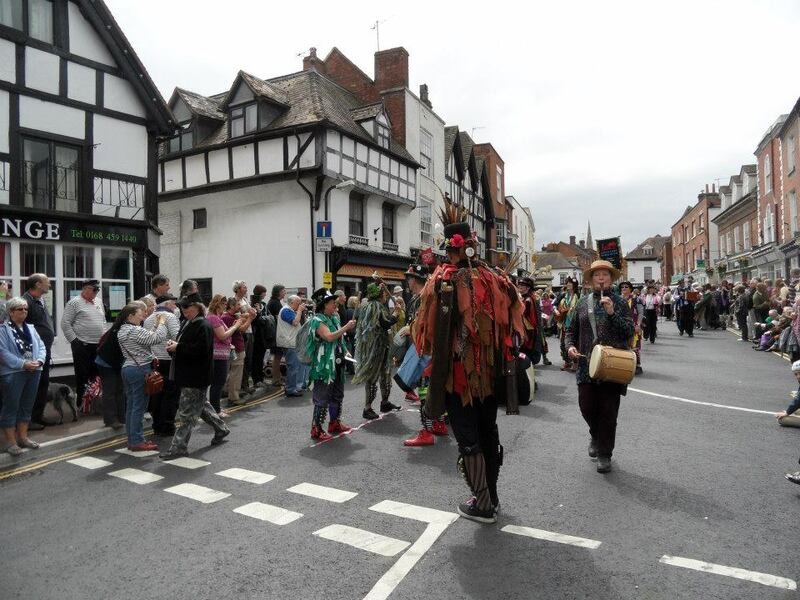 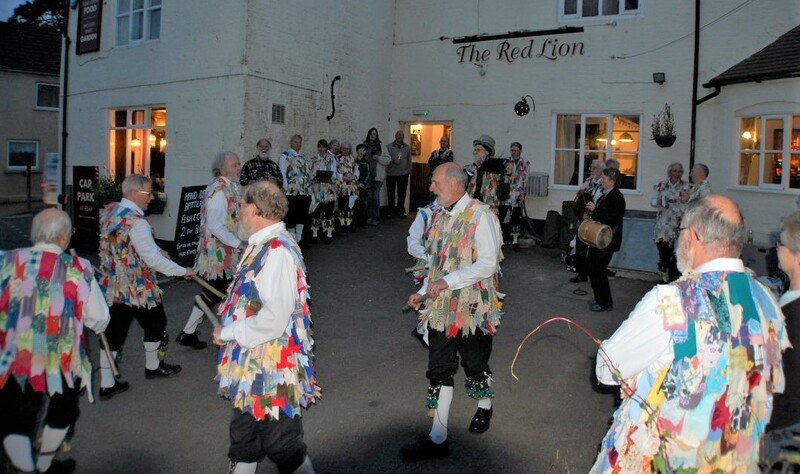 Whilst common throughout the middle ages, its popularity declined, but it continued right into the 20th century in the County when it was played to accompany morris dancing. 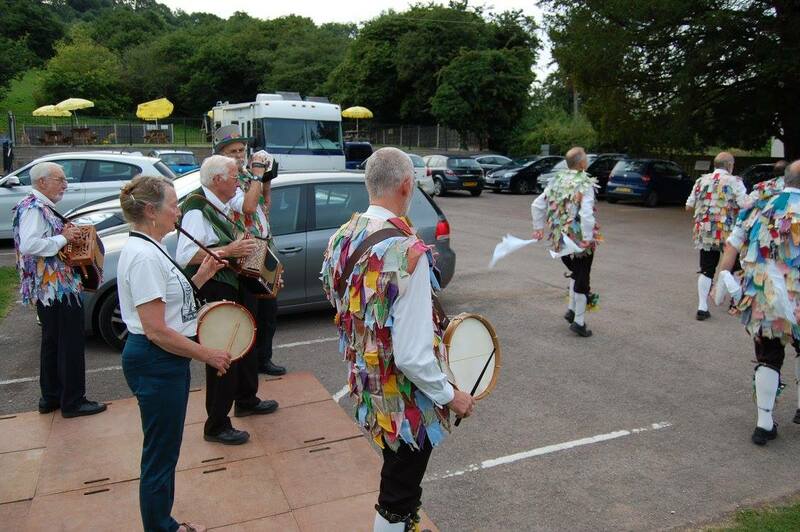 Gillian has played throughout England and as far afield as New Zealand and Australia. 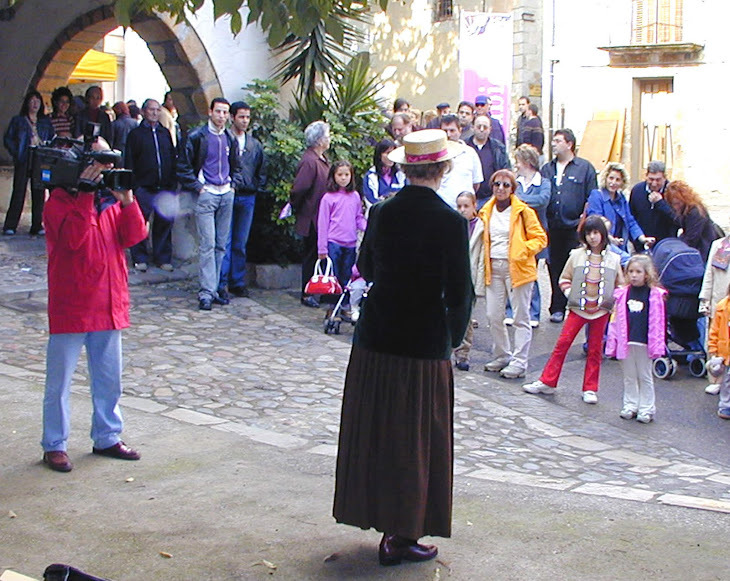 She has been guest overseas player at traditional music festivals in Arbucies and Vilanova in Catalunya, Spain. 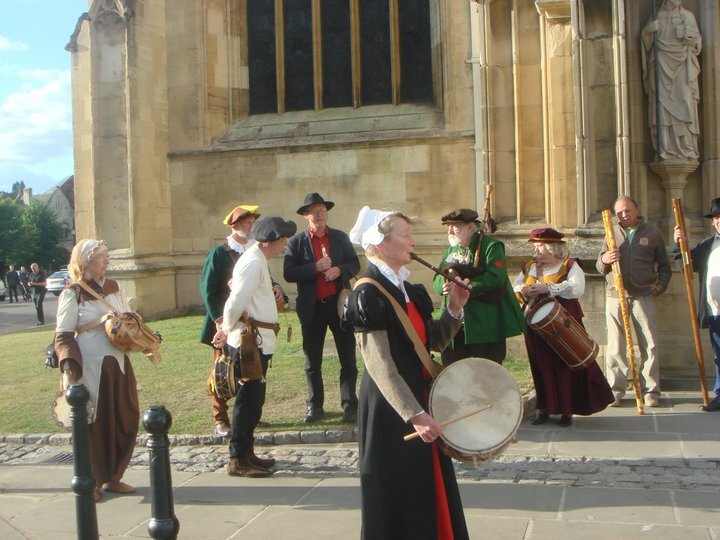 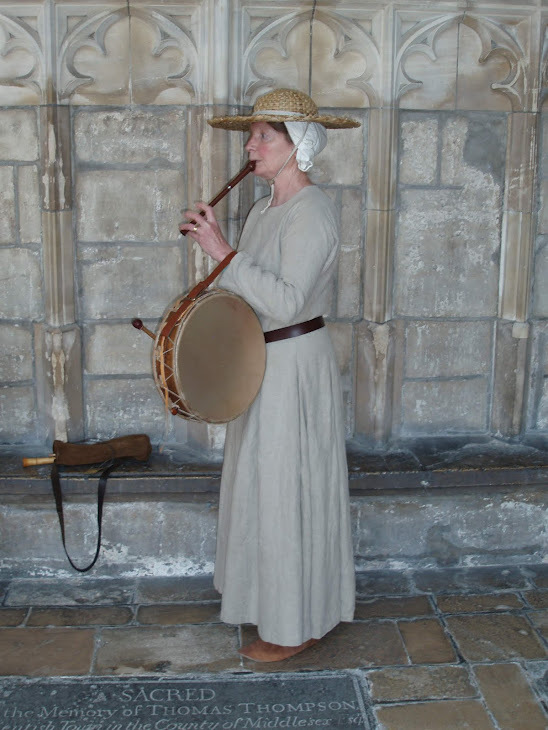 She plays music from mediaeval times to the present day dressed in costume of the period. 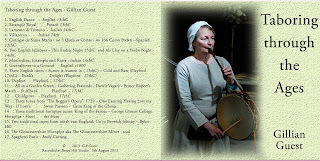 Her repertoire includes mediaeval, Tudor, Georgian and Edwardian tunes, with a particular focus on the English collections of John Playford and John Gay. 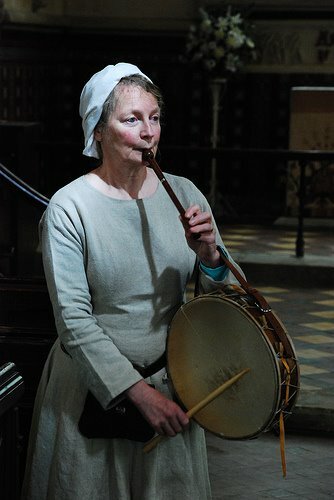 She has been described on Radio 4 as one of the world's best pipe and tabor players!